If you like to party or celebrate on a river boat cruising the River Trent then you have clicked on the right link and found Princess River Cruises. We operate two river boats, our flagship the Nottingham Princess and our newest single deck the Nottingham Prince. Both boats are available for private hire or tranquil cruise and dine daytime packages and lively evening cruises. 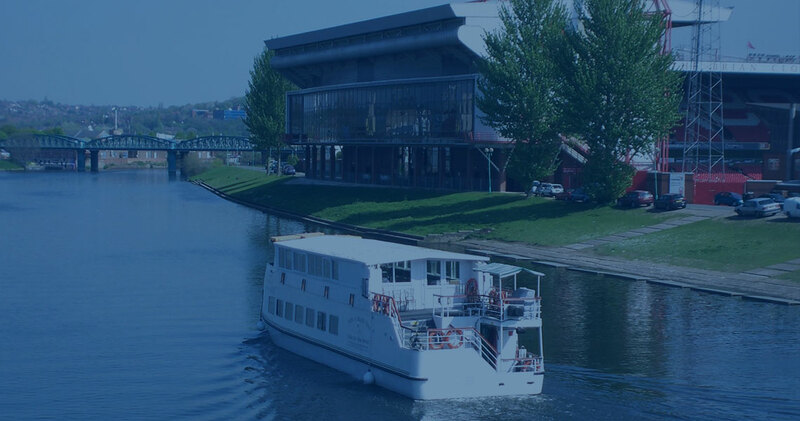 Please contact our reservations team on 0115 9100401 or 0115 9100402 and it will be our pleasure to help you plan your next river boat cruise on the River Trent in Nottingham.